AC3 has co-designed and co-developed a cloud native platform on Amazon Web Services (AWS) to help Cadastre NSW, a Department of Finance Services and Innovation's (DFSI) Spatial Services unit, become more agile in its processes. Cadastre NSW is a dynamic map of cadastral features extracted from the NSW Digital Cadastral Database (DCDB). DFSI went to market in late September 2017 looking to extend Spatial Services’ current fabric of land parcels and property to include the proposed lot layout of land subdivisions from Development Application (DA) to plan registration. After seven providers submitted responses, DFSI awarded the contract, which at the time was had an estimated of between $800,000 and $1.1 million, to Bulletproof at the end of 2017. The project was kicked off in January when the provider started the discovery and consulting process that helped Spatial Services to know what processes they wanted to implement. Going into the project, some of the difficulties involved knowing specific requirements, making manual image validation process digital and also the communication between the teams involved. "The concerns going in there were: you are not 100 per cent sure of the specific requirements, so we weren’t sure of the complexity of the workflows they wanted to implement and how much work they'd done themselves," said Steve Brown, head of consulting at Bulletproof, an AC3 company, when speaking to ARN. "Once we kicked off the project there were more stakeholders that wanted to get involved so we also helped them communicate with each other as well as with us. This is always one of the challenges." Spatial Services projects' requirements included an agile project with fortnightly sprints. The goals were that the new ICT environment would accept image files and landXML plans from external parties, allow them to obtain image files and landXML plans from Cadastre NSW and cater for current Quality Assurance workflows to employ the new Cadastre NSW capability. Furthermore, it was also looking to integrate Cadastre NSW and existing ICT capability to generate efficiencies, while also delivering new and enhanced services from reuse as well as providing the foundational components for the Proposed Development Pipeline Project. Before, there was not one organisation that had a full oversight over the whole end-to-end process. Now Cadastre NSW is able to turn a paper-based service into a digital one which facilitates other agencies to have access to the service. The department was looking to simplify processes that involved different organisations such as utilities and councils. As a result, the plan was to have Cadastre NSW become the service provider servicing other agencies, in the sense that stakeholders could contribute information and access the best quality data at the point that they needed. According to Adrian White, program manager for Cadastre NSW at Spatial Services, the unit was looking to improve the accuracy in the data sets. 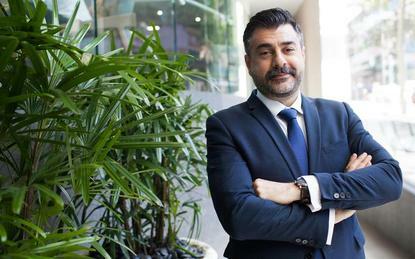 "We want our data sets traceable… we need it to be as automated as possible, so we needed to continue to move away from manual processes and leverage the specialised skills and capabilities of our staff," said White, when speaking at the NSW Government Digital Marketplace conference in Sydney. "We had duplicate data sets to maintain across NSW causing a lot of downstream impact on the usability of data and the ability to tie together and get some real quality data analytics coming out of it." Consequently, AC3 created a cloud native system, built end-to-end on AWS, which spans between the public cloud solution produced by the service provider and Spatial Services' current on-premises resulting in a hybrid environment. "The engagement was really collaborative, we co-designed and co-built the platform so it was overall a very good engagement," AC3 CEO Simon Xistouris told ARN. "In terms of a good use case, the synergies between AC3 and Bulletproof are the reason why we looked at Bulletproof and as we now move towards a single business this is a perfect use case where AC3 is a more traditional platform and infrastructure whereas Bulletproof can bring that [cloud] capability to our customer base. "It just highlights the reason even further why we done that acquisition." In May, the Federal Court of Australia approved the acquisition of publicly-listed Bulletproof by AC3, effectively closing the $24.7 million deal.